The wonders of Pinterest never cease to amaze me. Over the long Thanksgiving weekend I was searching for Christmas cookie recipes on Pinterest. I figured maybe it was time to try something new, expand my horizons. Well leave it to Pinterest to “force” me into trying something new. Somehow in my search for Christmas cookies I came across a recipe for a snickerdoodle martini. Well duh, I clicked that link. This when I first discovered RumChata. After reading this martini recipe I knew I had to have a bottle of RumChata. So why did I feel the need to try RumChata? Perhaps I should explain what it is if you don’t already know. It is a liquor made with Caribbean rum, vanilla, cinnamon, sugar, real Wisconsin dairy cream and a few other secret flavors. Need I say more?! It took me a while to get my first bottle of RumChata. My liquor store of choice is on the other side of town and I avoid that area like the plague around the holidays. Low and behold Jack was invited to a birthday party at Build A Bear, right near my liquor store. I think you know where this is going, I drove Jack to that party! Sure I could have carpooled with friends, but they couldn’t be ready in time to get to the liquor store first. In my backwards part of the country liquor sales end at 7PM so going after the party wasn’t an option. Jack and I drove to the other side of town and barely made it there. We got caught in traffic, accidents and much too much excitement for my taste! The good news is we had time for my shopping trip. I got my bottle and one for my mom (her birthday was coming up and I knew she would love it too). After my excitement Jack enjoyed the birthday party and had tons of fun. He got loaded up on way too much sugar. We didn’t get home until nearly 9:30, well past his bedtime. As soon as he was in bed though I poured myself a shot of RumChata. It was love at first sip! On New Year’s Eve our friends brought a bottle of Fireball Whiskey which goes well with the RumChata. I was ready to try something else so I browsed my liquor supply, also known as the top shelf of the pantry! I came across a bottle of banana liqueur. We never use it much, mostly for experimenting or obscure alcoholic concoctions. Banana mixed with a vanilla, cinnamon cream liqueur sounded good to me. And it was! Cheers everyone! 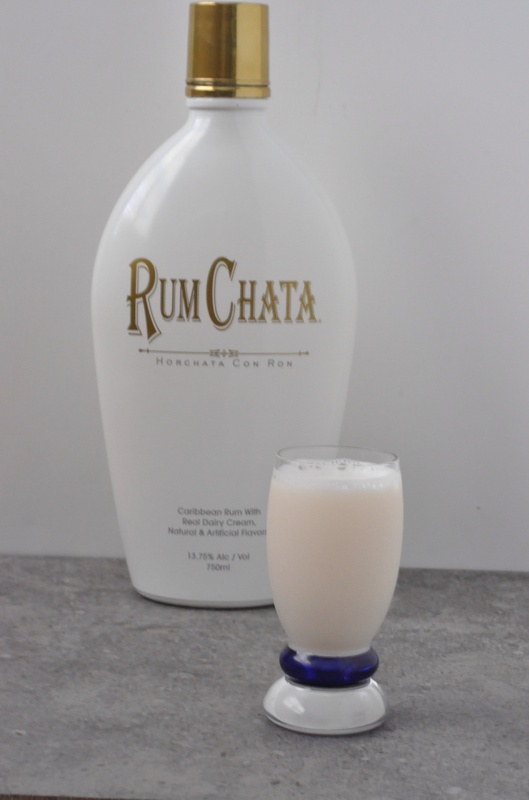 Combine the RumChata and banana liqueur in a cocktail shaker, add ice and shake well. Strain and serve in a glass. *Play around with this drink, it is versatile. Serve as a shooter. 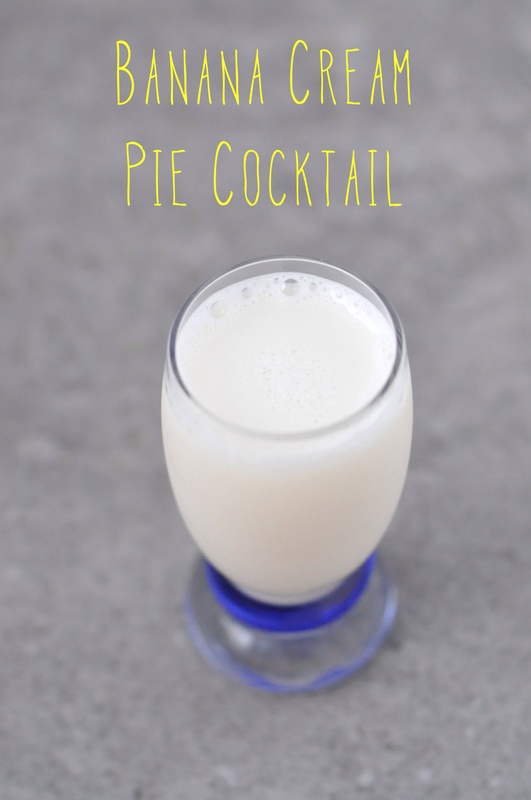 Add some milk or cream and serve in a graham cracker crumb rimmed martini glass. Add ice cream and make a milkshake. Imagine the possibilities! 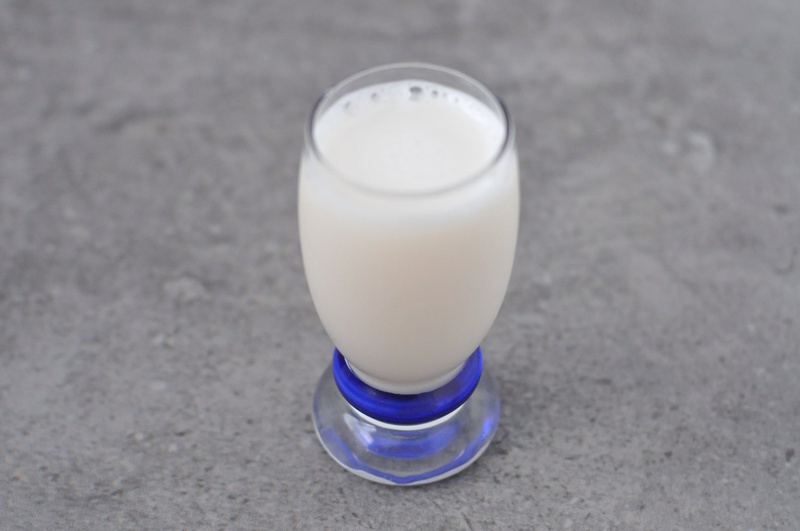 This entry was posted in Beverages and tagged banana liqueur, Cocktail, Horchata, rumchata on January 28, 2015 by Gretchen. I love banana cream pie too so this was a wonderful creation! Always have RumChata on hand here! Boozy liquid snickerdoodle 🙂 Use it in French toast–mmmmmm… Glad you’re having fun with it. Wouldn’t have thought of the banana cocktail. I figured you would know all about RumChata! You are the cocktail queen with lots of liquor knowledge. It tasted great with the banana. As for using it in French toast, that thought already crossed my mind, as did pancakes, trifle, pound cake, pudding….. I love cooking and baking with various alcohols. I was just at the liquor store this morning! RumChata is definitely worth a return trip! That sounds amazing, and I don’t even like alcohol! And you’re right about Pinterest – it just draws you in. You go off looking for a chicken dish and end up on a shoe shopping site about to buy a pair of boots. I always need to exercise restraint. But yours has a super happy ending because you made yummy cocktails! Yey! Yum… I have never heard of that rum! I love pinterest too, great inspiration! I am not sure if they export this rum, but if you can find it it’s fabulous! Pinterest is indeed great, sometimes to a fault. There are way too many things I would love to try, just not enough time in my life. The rum is a new find and I absolutely love it! A cocktail is always welcome after a long day with the kiddos, especially running errands.